Never thought I'd have one of these awesome bikes, much less two. 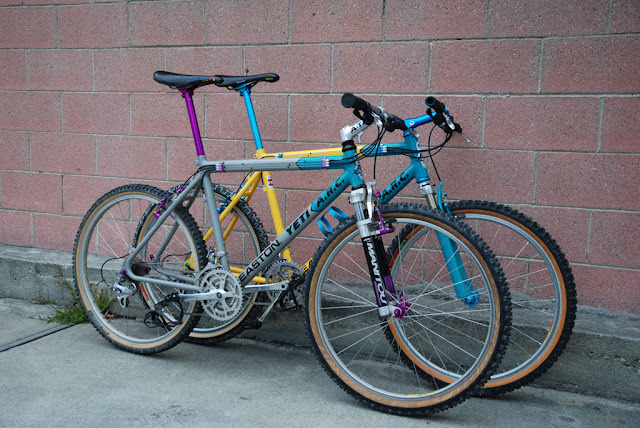 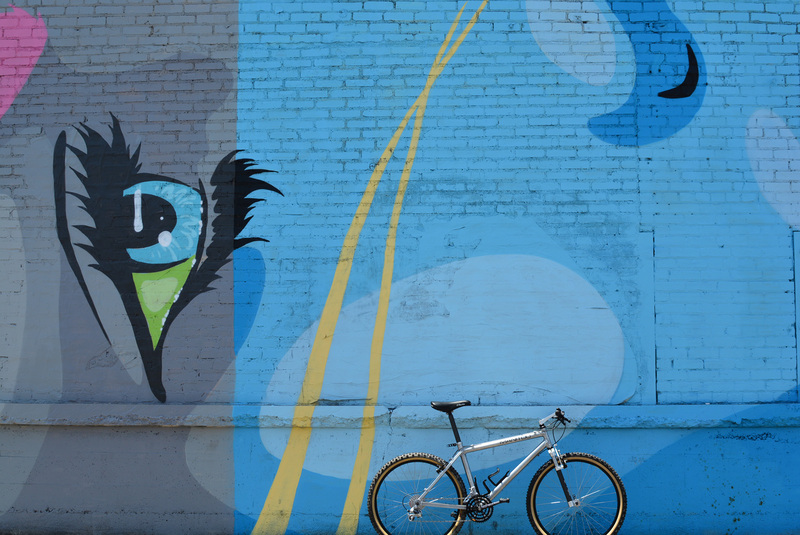 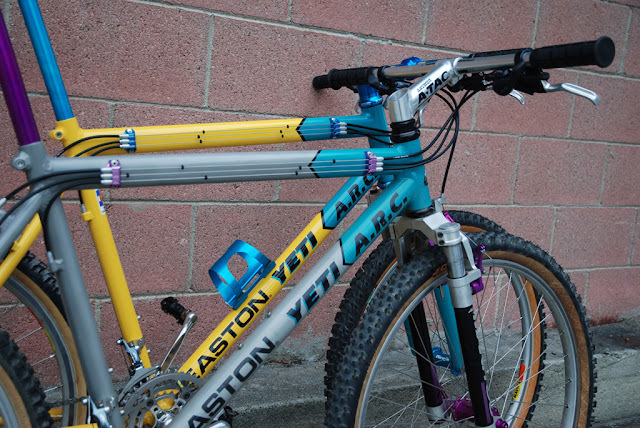 Although they are virtually the same bike, these two builds effectively represent two distinct eras of team Yeti. 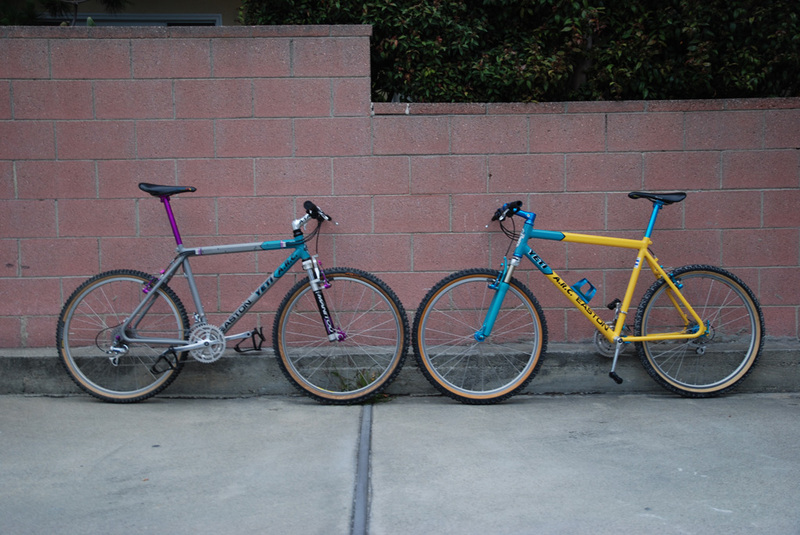 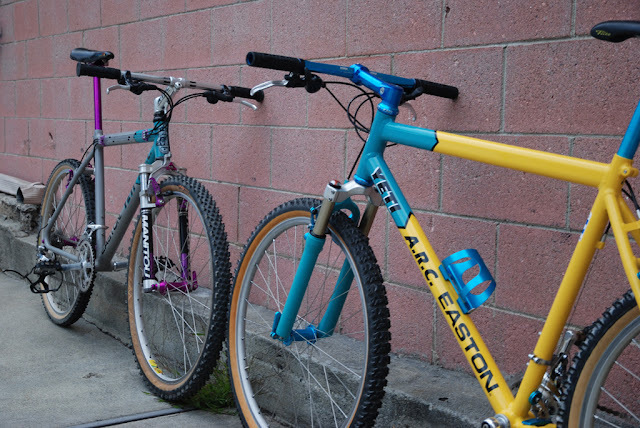 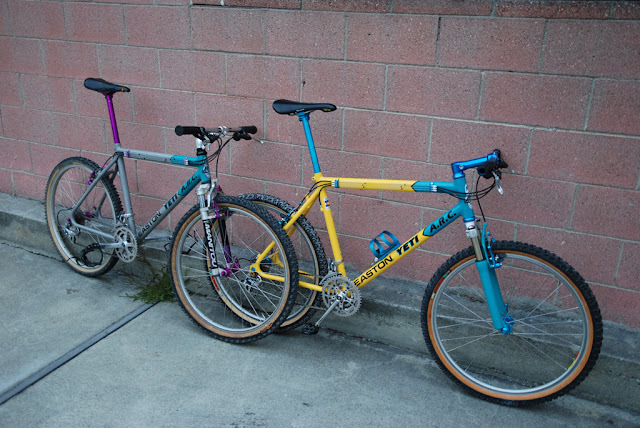 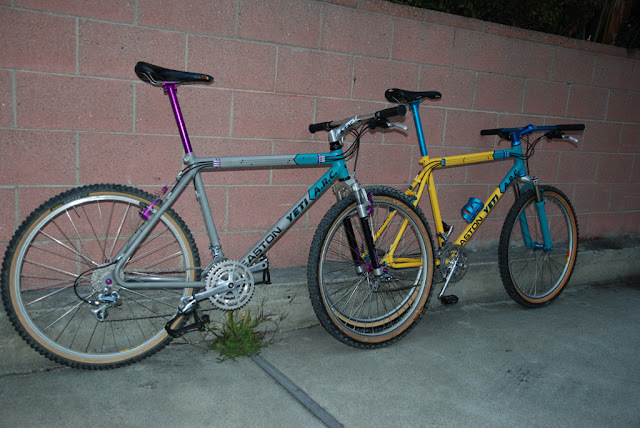 The gray/turquoise livery represents the early part of the golden age of team Yeti, around 1991-1993 (Furtado/Grewal) while the yellow/turquoise one represents the second generation (Deaton/Giove) 1994-1995. 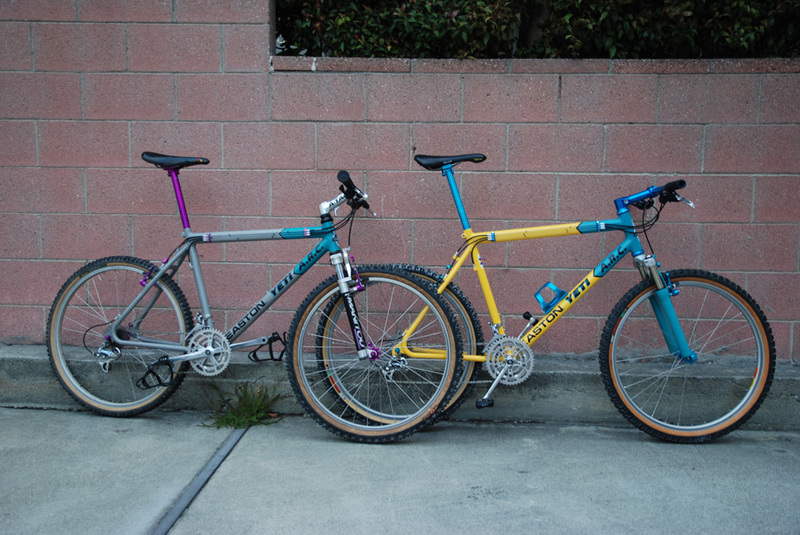 Either way, both bikes are sweet and look very cool next to one another.